DETROIT (Dec. 20, 2017) – In 2018, Corvette Racing and Chevrolet will embark on their 20th season of competition at the highest level of endurance sports car racing. In hopes of capturing a third consecutive class championship, Corvette Racing turns again to four sets of trusted hands to pilot its pair of Chevrolet Corvette C7.Rs in the IMSA WeatherTech SportsCar Championship’s GT Le Mans (GTLM) category. Antonio Garcia, Jan Magnussen, Oliver Gavin and Tommy Milner comprise Corvette Racing’s full-season lineup. The 2018 season marks the seventh straight year the quartet has made up the regular driving roster. 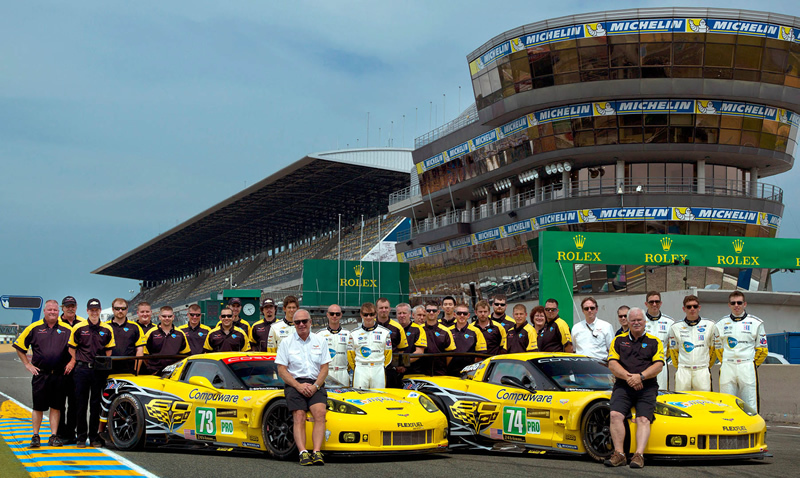 The full-season four have combined for 111 victories and 12 Driver Championships in their Corvette Racing careers. They also have played significant roles in Chevrolet’s 12 Manufacturer Championships and 12 Team Championships for Corvette Racing, which has recorded 106 victories around the world. Both of the Mobil 1/SiriusXM Chevrolet Corvette C7.Rs will officially begin the 2018 IMSA season at the annual Roar Before the 24 at Daytona International Speedway on January 5-7. It is the prelude for the season-opening Rolex 24 At Daytona – an event Corvette Racing has won three times. Corvette Racing is coming off a 2017 season in which it won four times. Garcia and Magnussen recorded three victories and shared the GTLM Driver Championship. Gavin and Milner, 2016 co-champions, also claimed a victory in 2017.